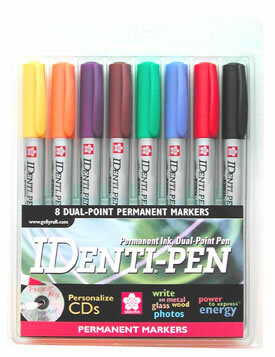 Makes permanent marks on metal, glass, paper, etc. and is available in 8 vibrant colors. Perfect for fine detail. Removable with most solvents.